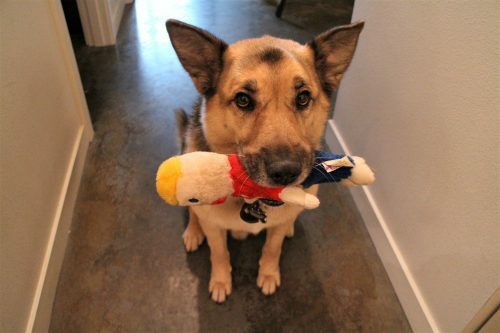 Jennifer Fox, founder of FoxBot Industries, uses a Raspberry Pi pet monitor to check the sound levels of her home while she is out, allowing her to keep track of when her dog Marley gets noisy or agitated, and to interact with the gorgeous furball accordingly. 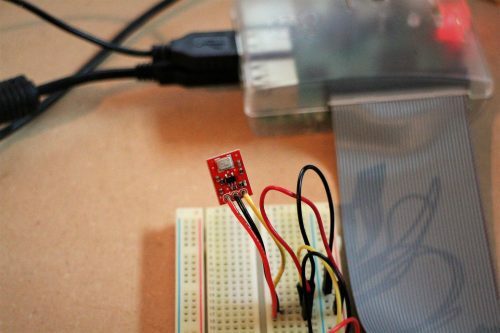 Using a Raspberry Pi 3, speakers, SparkFun’s MEMS microphone breakout board, and an analogue-to-digital converter (ADC), the IoT Pet Monitor is fairly easy to recreate, all thanks to Jennifer’s full tutorial on the FoxBot website. In a nutshell, once the Raspberry Pi and the appropriate bits and pieces are set up, you’ll need to sign up at CloudMQTT — it’s free if you select the Cute Cat account. 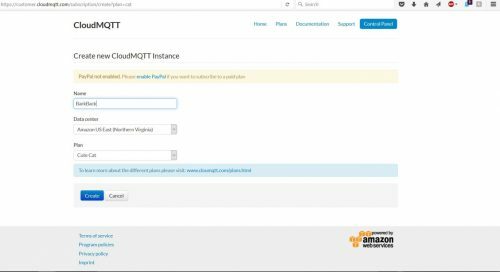 CloudMQTT will create an invisible bridge between your home and wherever you are that isn’t home, so that you can check in on your pet monitor. Within the project code, you’ll be able to calculate the peak-to-peak amplitude of sound the microphone picks up. Then you can decide how noisy is too noisy when it comes to the occasional whine and bark of your beloved pup. The MEMS microphone breakout board collects sound data and relays it back to the Raspberry Pi via the ADC. Next you can import sounds to a preset song list that will be played back when the volume rises above your predefined threshold. As Jennifer states in the tutorial, the sounds can easily be recorded via apps such as Garageband, or even on your mobile phone. Whenever the Bark Back IoT Pet Monitor is triggered to play back audio, this information is fed to the CloudMQTT service, allowing you to see if anything is going on back home. And as Jennifer recommends, a update of the project could include a camera or sensors to feed back more information about your home environment. If you’ve created something similar, be sure to let us know in the comments. And if you haven’t, but you’re now planning to build your own IoT pet monitor, be sure to let us know in the comments. And if you don’t have a pet but just want to say hi…that’s right, be sure to let us know in the comments. That can be usefull if you have a company and dogs guarding it at night. Better than an alarm system. I love being able to check in on my dogs throughout the day. I fail to see why on earth this project requires an IOT connection. After all, the basic purpose of the project is to monitor ambient noise levels and respond with a voice prompt to stop barking or whatever. All of this could be done with a stand-alone Raspberrpi/Arduino/Picaxe/MicroBit etc and a hanfull of additional hardware (microphone, MP3 player etc) to measure the ambient background noise and respond with a randomised pre-recorded audio response. As stated in both blogs, the IoT function allows Jennifer to check in and see if Marley has been barking while she’s out of the house. If she checks in and finds Marley to be barking more than usual, there may be a reason why and she can return home to assess the situation. THX for the project Jen! This is something my son and I can create together. Your positive contribution has helped me and my son. That’s great news to hear, Brian. It’s lovely to hear about families working together on a project. What's more amazing than a talking dog? A spelling bee!